Last week we attended one of the last BBC news tours in Marylebone, London. 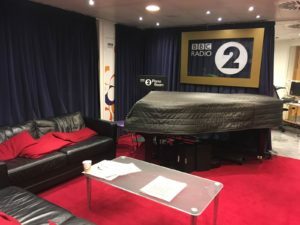 We joined the corporate and financial group as part of the Chartered Institute of Public Relations for a tour of the BBC offices, Radio 2 studios, The One Show studios and the newsroom! Firstly, we were taken to The One Show studios by Production Executive, Nick Todd, to have a look behind the scenes and at the setup of the show before the team began filming. Whilst we were behind the scenes, we managed to speak with Studio Producer, Martin Heriot who gave us all details on the upcoming show. Next, we were taken to BBC Radio 2 studios and learnt all things radio. This ranged from who sits where, to who writes the scripts and we also got to hear about some of the previous dramas the team have had before going live on air. We were also lucky enough to get a quick glimpse of Steve Wright popping out for his afternoon break! 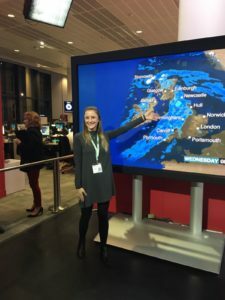 Next up was the weather, which overlooks the whole of the BBC newsroom. 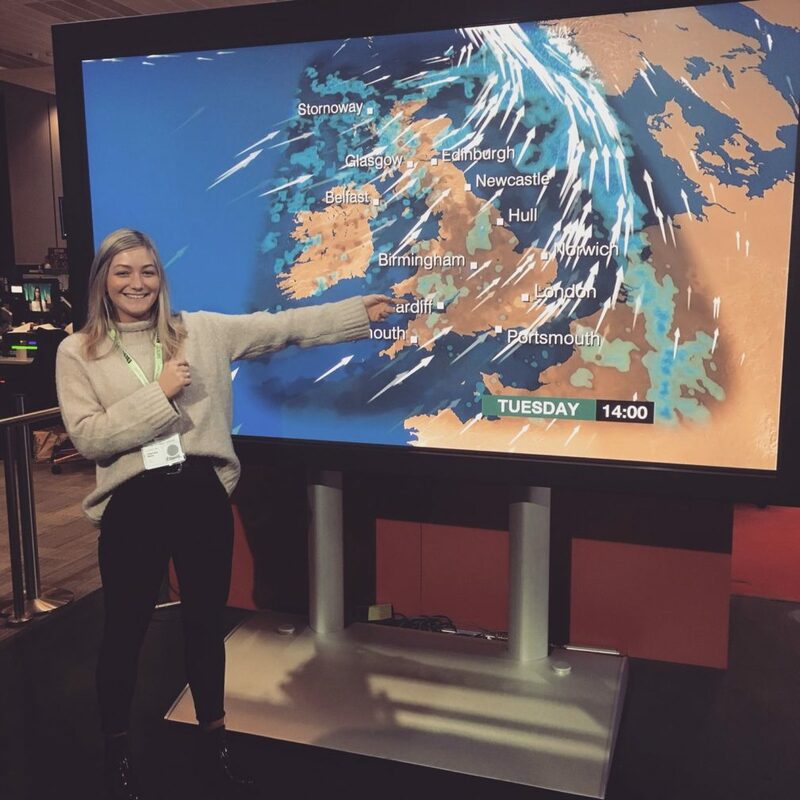 As you can see, we had a go at presenting the weather, which is actually more difficult than it looks as it is a reflection of yourself – so it is back to front! The Director of the Newsroom managed to get us a sneak peek of the ‘Beyond 100 days’ gallery, the nightly public affairs show which is broadcast from Washington and London with presenters Katty Kay and Christian Fraser. It was a great afternoon and we really enjoyed seeing the studios in real life. The tour will also be very useful in our future pitching and communication with journalists. We would like to say a big thank you to the BBC for having us, hopefully, we will see you next year!